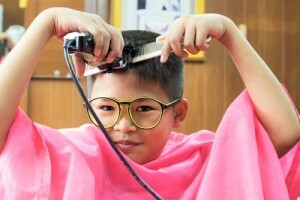 Home / Articles / Why savvy clients use a Broker… the same reason they don’t cut their own hair. I was involved in an event called National Finance Brokers Day, which made me stop and think. In the midst of APRA regulation, historical low rates, more home loan products available than ever before and the real estate market a perpetual topic of conversation for all Australians, I thought I’d highlight the role of the Finance Broker. Put simply, at a time when the finance industry has become too complex for most Australians, there is also a low awareness of new regulations and what Finance Brokers do, and how they can help the borrower. Let’s look at the lending market. There are 150 deposit-taking institutions – basically banks and credit unions – in Australia,and more than 3000 lending products. That’s quite some choice right? But it’s also a lot of interest rates, terms, conditions, establishment fees and application criteria to sort through. Then there’s fixed rate versus variable rate, interest only versus principal plus interest, and whether a package is worthwhile. I’m all for competition, but along with a lot of players comes complexity. Not because the product itself is complicated, but because the competition for your business has created differentiation, bonus offers, honeymoon rates, freebies and other inducements which can be confusing. If you use your trading bank for your asset finance, you are limiting your scope. And when you go online and do searches for home loans or car loans, you have to start comparing. And how do you do that with so many products? Will your knowledge ever be as complete as the professional who works full time in this market? Who works alongside other real Australians, families, individuals with individual circumstances every day? Using a broker can level the playing field somewhat: A skilled broker forms a picture of you as a person with a specific situation, goals and aspirations and goes to the market. When you have an intermediary working for you, the market bids for your business. You can’t really do this as a single retail customer with one transaction. Using a broker saves time, energy and heartache, and you are more likely to find a loan not only at the lowest cost but with the best features for you. An experienced Broker has professional networks and industry expertise to draw on, they also have software platforms that give them detailed access to a much greater variety of finance options than the average consumer can access. If you’re looking for a loan, try a broker. Check their credentials, ensure they are members of one of the peak bodies (like MFAA) and always be honest about your details. And then judge the results for yourself. Remember mortgages & loans can be emotional, time consuming processes for applicants. And frankly most people are too close to the wood to see the trees. Having the benefit of an industry expert working for you; a trusted advisor who can stand back and objectively evaluate how a particular loan is going to suit you should be as obvious as knowing you need a good, trusted hairdresser. Extract from an article by Mark Bouris, executive chairman of Yellow Brick Road, which offers mortgage broking as well as other wealth management services.